The entire source code is available under the GPLv3 license. 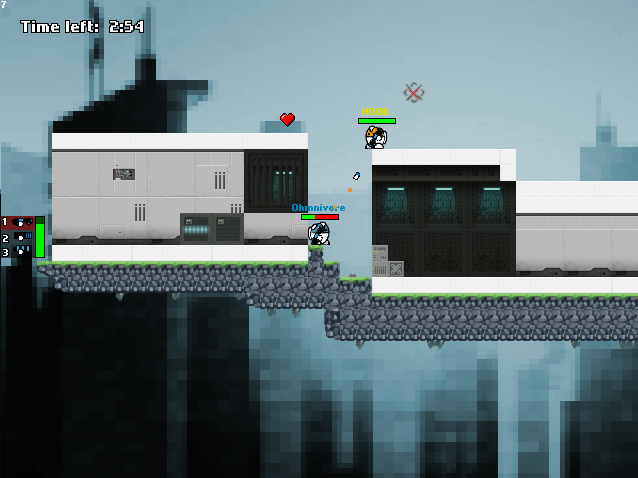 SkullRush features first-person shooter frenzy coupled with a 2D platformer world. Excellent LAN party material. Out of the box support for custom game modes, custom game entities, and custom graphics and sounds. Create your own maps with Ogmo Editor! There's no need to install anything at all. The game requires under 10 MB of data.